You were smart enough not to sign up for classes on Friday. Right? I mean Thursday is for drinkin’. Now, let’s take it to the next level. 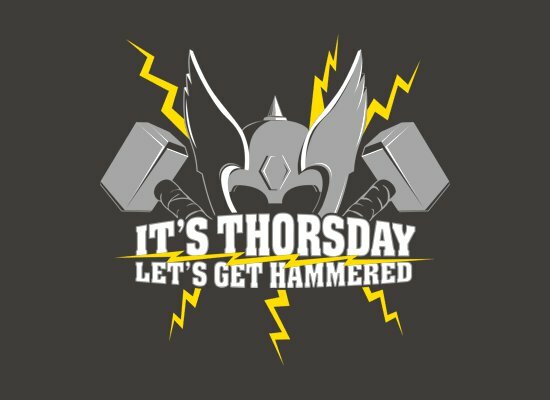 With one slight change of a vowel, now we’re talking about the day of the Hammer God so it’s only natural to take it from quaint social drinking to getting hammered. I’m talking losing friends and permanent neurological damage hammered. Get this shirt and GET IT ON!!!!!!!!! !